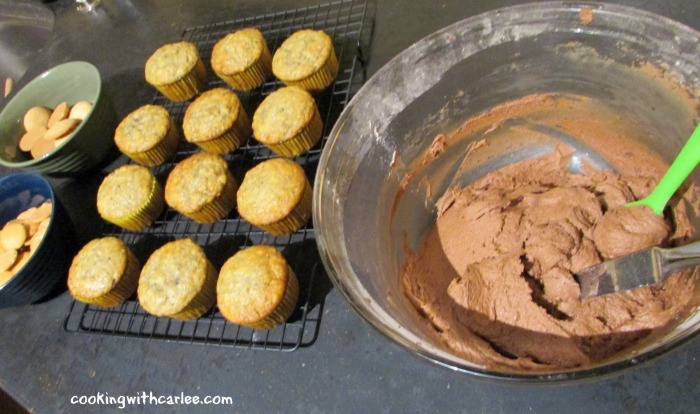 How do you make chocolate frosting even better? Add sweetened condensed milk! Come get the recipe and learn how to make these cute monkey cupcakes while you're at it! My little monkey had a birthday! He had a monkey lovie that he needed to sleep for the longest time. He accidentally left it at MiMi and Pops once and it caused dad to make a panicked late night run to track him down. Then we went through a phase where it even had to go to daycare with him. We accidentally left him there once too. Some of the older kids hid him while Jax was out of the room. He came home without him. After some tears, he finally went to sleep. Ever since, monkey doesn't leave the living room. We don't want to risk leaving him anywhere, even upstairs apparently! Between his love of monkey and his penchant for an occasional Curious George video (the man in the yellow hat must be the most patient soul out there, am I right?! 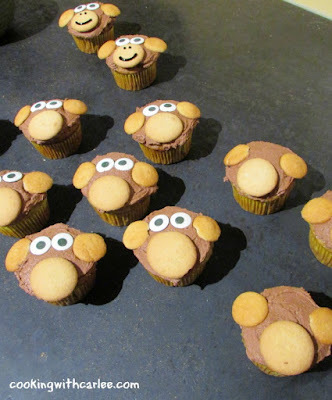 I just knew we needed monkey cupcakes. 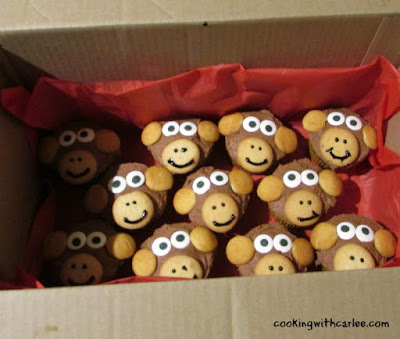 Of course we didn't need monkey cupcakes for a pirate party, but I knew they would be just perfect for daycare. They all know his love of monkey and who doesn't love cupcakes? Of course a monkey cupcakes should be full of bananas. A little chocolate frosting never hurt a thing either. Jax loved them and he said the other kids did too. He is just the sweetest little guy! 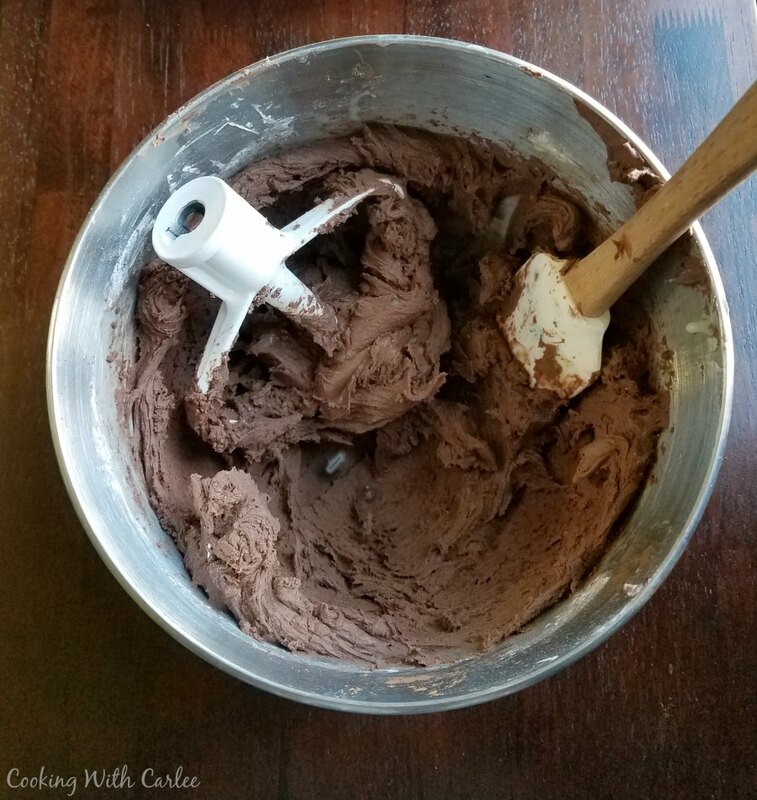 The Sweetened Condensed Milk Buttercream was such a hit, I wanted to give a chocolate version a try. Not to shabby! I made mine pretty thick so it would hold on the cookies and hold up to the trip to daycare without me having to worry about them. You could certainly thin it a bit by adding another little bit of sweetened condensed milk or a tablespoon of regular milk. Packed up and ready to go see the kids! This sweet, creamy, chocolaty frosting is perfect for topping cake. 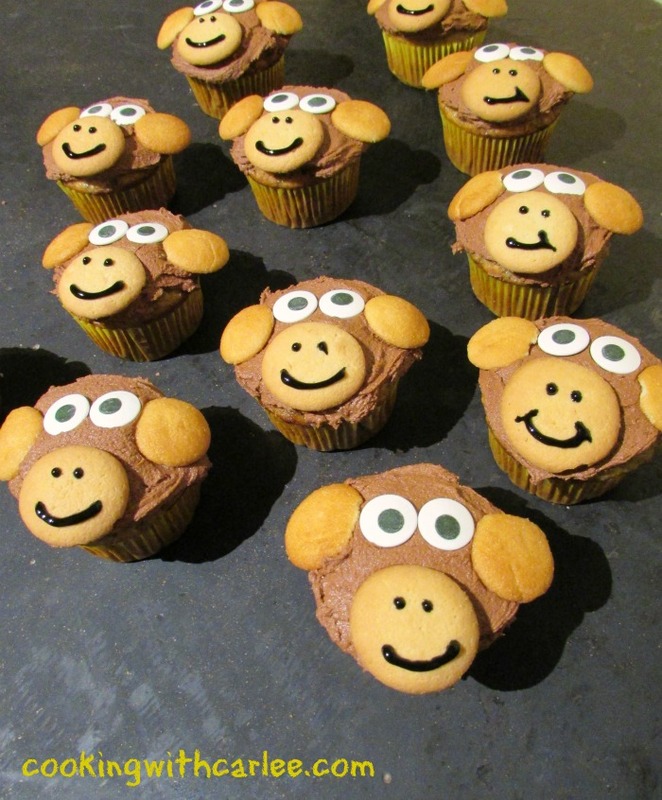 We used it to make monkey cupcakes, what will you use it for? Cream the butter until smooth. Add remaining ingredients and beat on high until fluffy. Add more powdered sugar or milk as necessary until you reach your desired consistency. Frost cupcakes with plenty of chocolate frosting. Place on large vanilla wafer for the monkey's face. Position two minis for ears and a couple of eyes. Use the frosting to make a smile and a couple of nostrils and voila! your monkey is born! Oh my gosh, these are too cute! I want to make them for niece and nephews! I've never tried frosting made with condensed milk before, and I'm super-curious now. It definitely sounds like it would be a smooth frosting. Definitely going to have to try! When I heard the rumor that sweetened condensed milk is what made a local bakery's frosting extra special, my wheels started turning. No I am having fun experimenting! Thanks! Cutest cupcakes EVER Carlee!! What kids and adults alike would not absolutely love these! Not only are they cute but they sound so wonderfully delicious! You had me chocolate sweetenec condensed milk! Thanks, Andrea! I thought the chocolate/banana combo was pretty good and with the sweetened condensed milk in the mix it has to be delicious! From what I hear, they really did. Jax was so proud to share his treat! Happy birthday to your little monkey! These cupcakes are absolutely ADORABLE! What a perfect birthday treat! Thank you and you definitely could! Super cute! I had a monkey party for my daughter's 3rd birthday and my monkey cupcakes didn't look quite so legit. Thanks for linking up with Funtastic Friday. Ha! I am sure they were cute! These were so easy and he was so happy with them. These are so adorable! I think that even I could make these. Probably not as cute as yours though! I bet Jax and his friends loved these. I know that I love banana and chocolate together, I think that I could eat this frosting right out of the bowl! Dangerous! He was so pleased with them and that was my favorite part! Frosting is my weakness, so I'll grab and spoon and we can share! 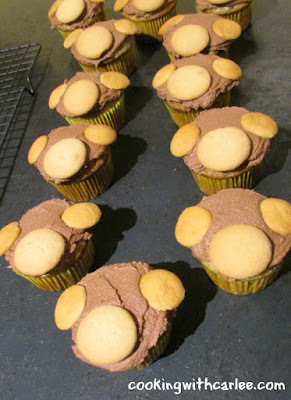 I've never even heard of condensed milk frosting, but I love love love the monkeys! Happy birthday to your little one!! Thank you! I'm not sure who enjoyed his birthday more, him or me! I have never made this kind of frosting before, and as with your other chocolate frosting, I just want a spoon to dig in. Curiosity will have me trying this next time I bake a cake! Thank you! 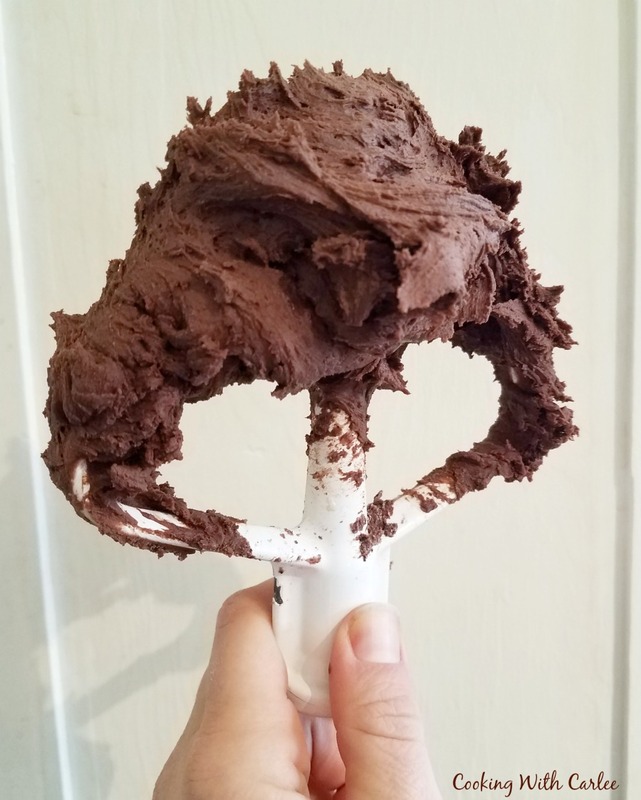 I have so much fun playing with frosting, it is so forgiving and so delicious! These are adorable Carlee!! So cute! Thanks for sharing at You Link It, We Make It, we hope to see you back tomorrow. Pinning! Thank you! I'm there for sure! Those are so cute and that buttercream frosting sounds amazing!Thanks for sharing on the Country Fair Blog Party this month. Thank you! We had the best time celebrating the little guys birthday this year!